The Award Winning RAM Model 4131 ‘Revolver’ for handling of bulk materials on a Ship Crane is designed in accordance with DIN 15018. 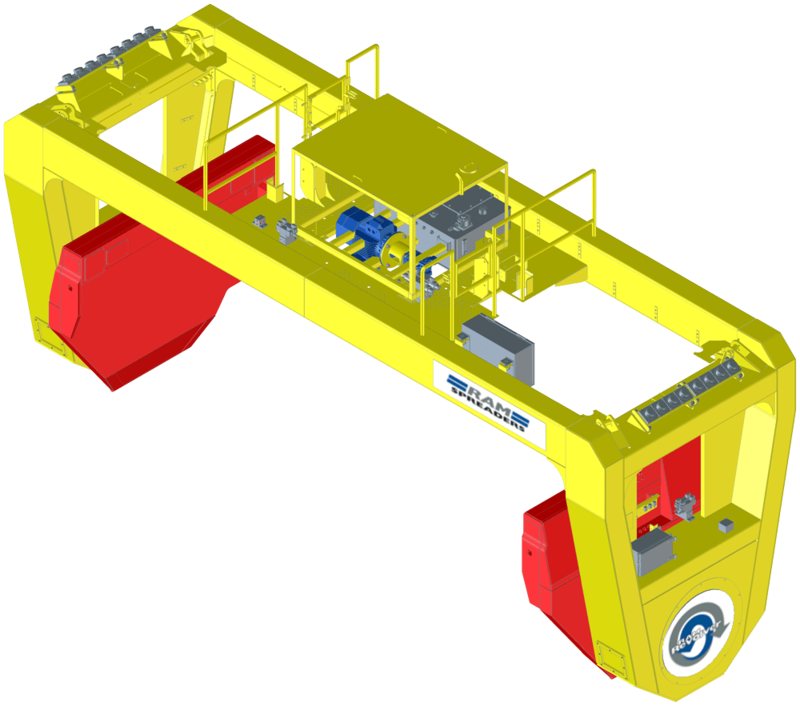 The RAM ‘Revolver’ can be designed to interface with new or existing crane headblocks and electrical communication systems. The ‘Revolver’ is electro-hydraulically operated via an on board diesel engine with all functions of the spreader controlled from the crane operator’s cabin via wireless remote control. ISO floating twistlocks allow the operator to quickly locate and lock the Revolver onto the container.